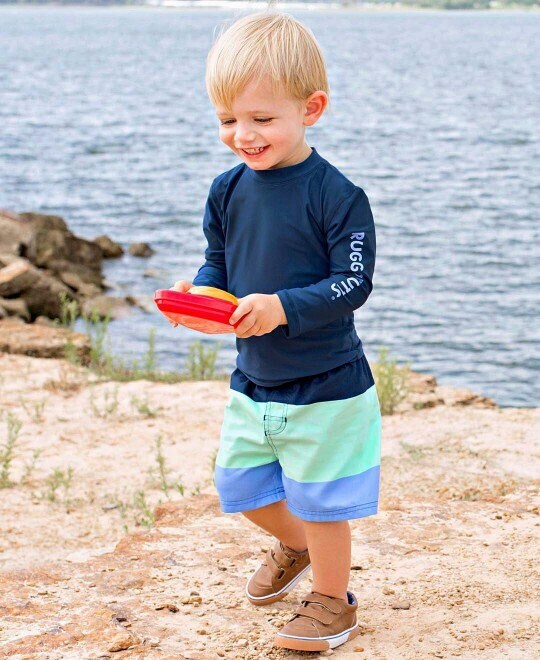 Your little prepster will look so adorable in these colorblock swim trunks. A mix of navy, mint and cornflower blue makes it easy to mix and match rash guard tops with these bottoms. The stretchy waistband and tie closure make it easy for you on-the-go kiddo, at the beach.